Deluxe I.V. 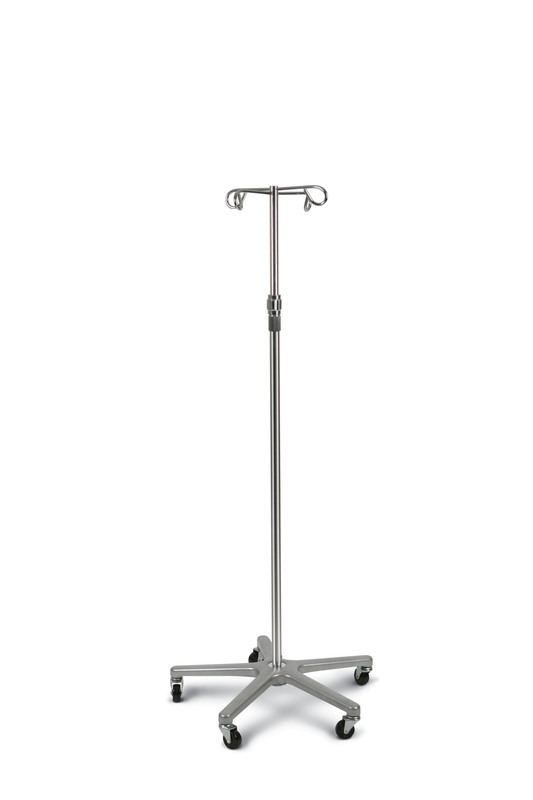 stand provides smooth, quiet operation and is corrosion-resistant. Four ram?s horn style hooks; height-adjustable from 48 1/2" to 82".